The first couple of days my eyes welled with tears as I imagined in my mind why each one of these little souls for whatever reason ended up at this place and I wondered what the future held for them. 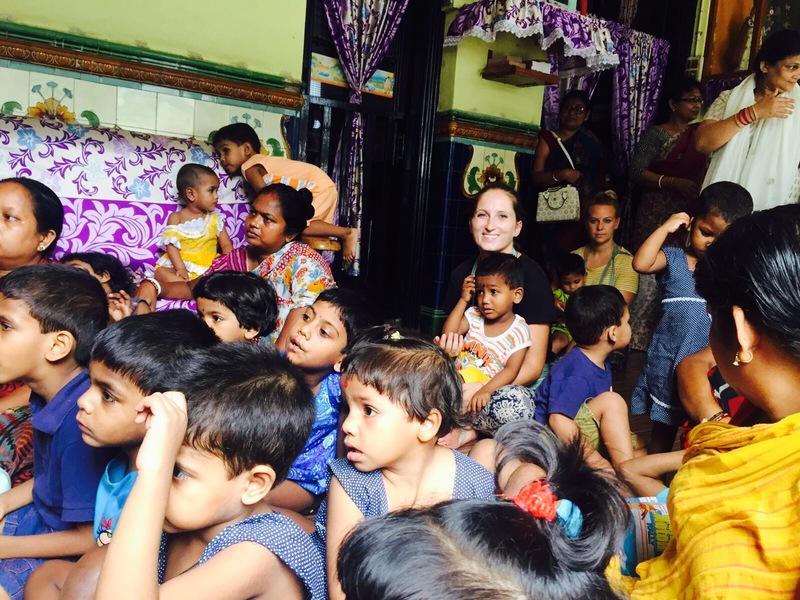 Shishu Bhavan translates as ‘Children’s Home,’ I volunteered assisting with the toddlers from 1-5 years. My motivation is to be of loving service; to grow and expand, I learn and see things that I would miss if I stayed in my comfy cocoon and, I enjoy it. This experience was a welcome relief to travelling and feeling the pressure to sight see. I like settling in one place and having a routine. Volunteering is a great way to connect with people of all ages and nationalities. Some people I met return year after year to give their time to this community. Listening to the motivations of other volunteers fascinated me. One of the girls also working with the toddlers was Indian, her name was Canter, she lived in Paris. 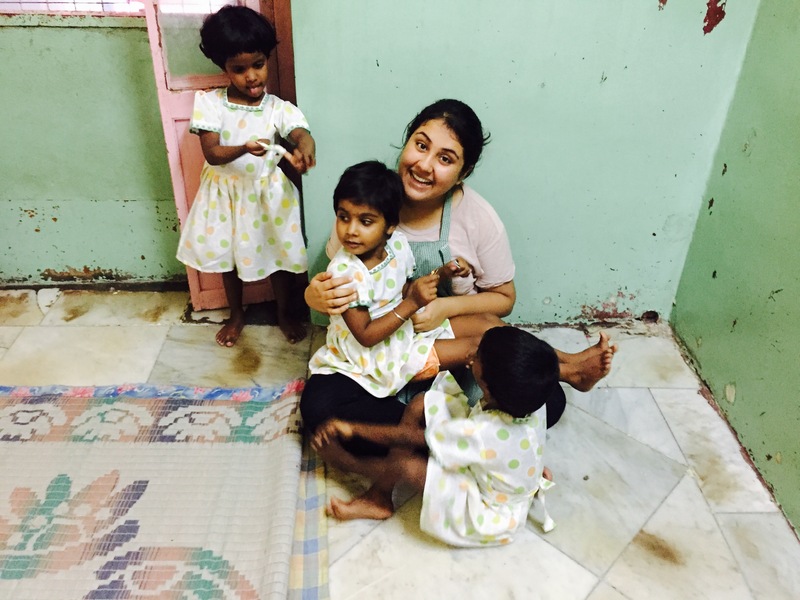 I found out that she was an orphan in Shishu Bavan and her parents adopted her when she was one years old. 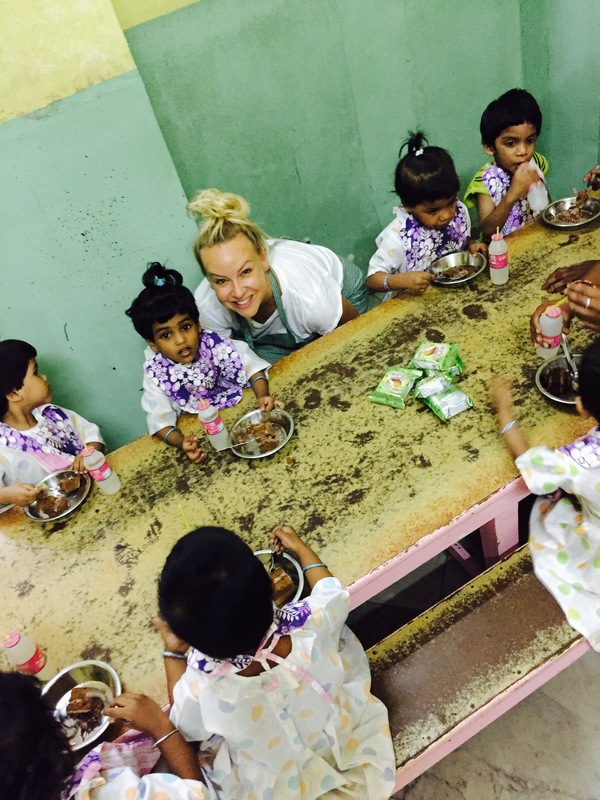 For the last three years, every summer she spends two weeks with the children in Shishu Bhavan. I was very touched by this. Maybe she was also tracing back lost parts of herself. Another volunteer, Angelica from Kolkata aged 19 years, was experiencing depression and was well advised to do service work by her psychologist. There were a couple of ladies who had grown children and were divorced or estranged from their husbands. They felt it was necessary to be discreet about their voluntary work from judgemental friends in their respective home countries. 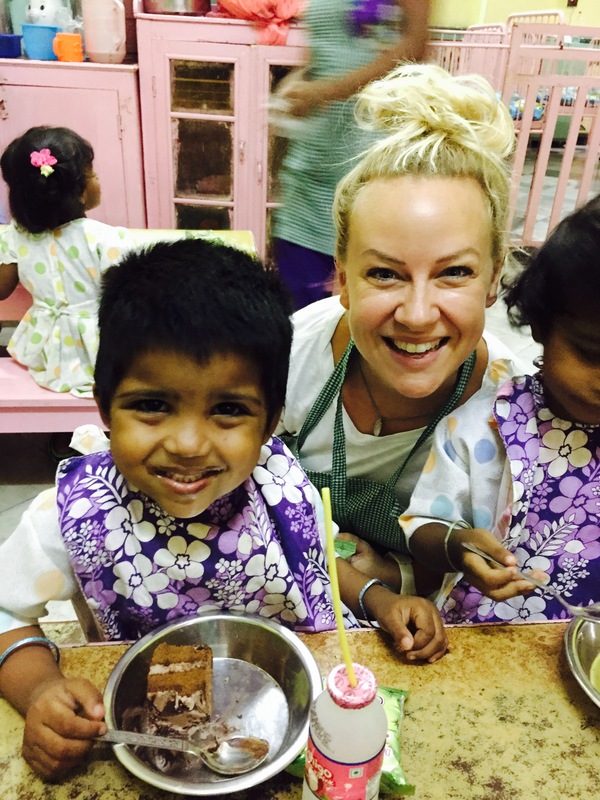 Other people like me were travelling around India, or had spare time in between jobs and wanting to help however they could. There are a lot of Spanish and Latino volunteers because of the Catholic connection. You do not have to be Catholic and they are not trying to reform you, there are many Hindu’s serving at Mother House. 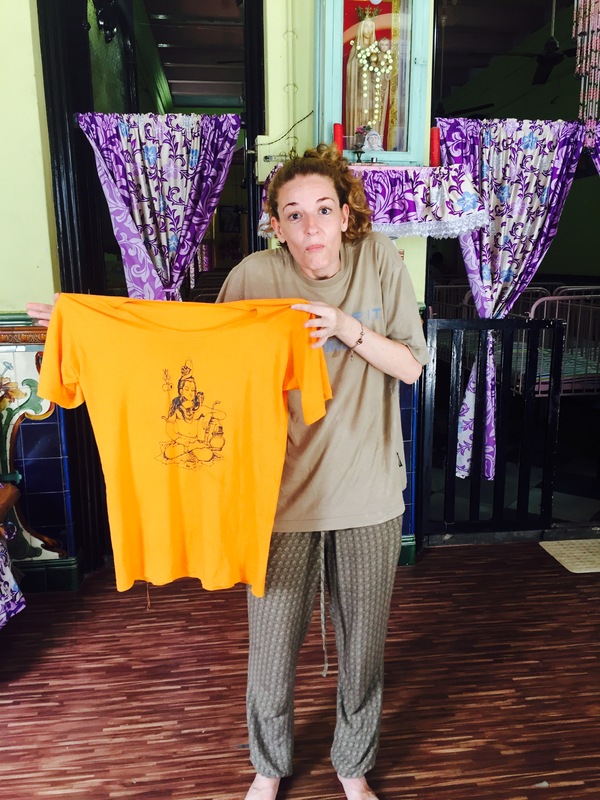 That said, the sisters will ask you to respect their beliefs, for example my friend Laura was asked to remove her T-shirt because it had Buddha on. It could be too ‘set in its ways’ for some people, so I do not think volunteering here would suit everyone. The day starts at 7am, breakfast is served, chai, bread and a banana. 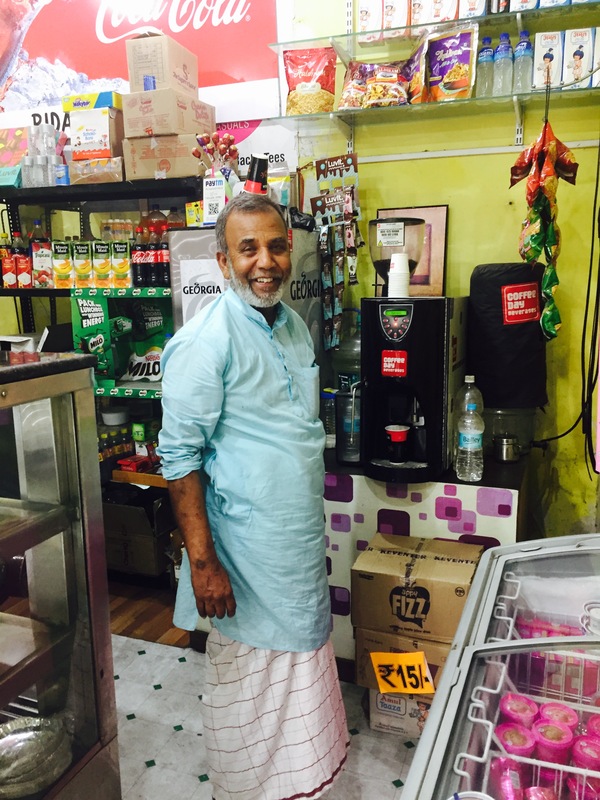 I would always get a little espresso from the shop on the street and then mix it with chai, I call it Coffchai, delicious! I became very friendly with the shop staff. This was a social time to chat and then we would say prayers and sing. We thank you, thank you, thank you from our heart! We love you, love you, love you from our heart! We miss you, miss you, miss you from our heart! It would bring tears to my eyes clapping this song and singing to other volunteers, but it seems these days, a lot of things bring tears to my eyes! 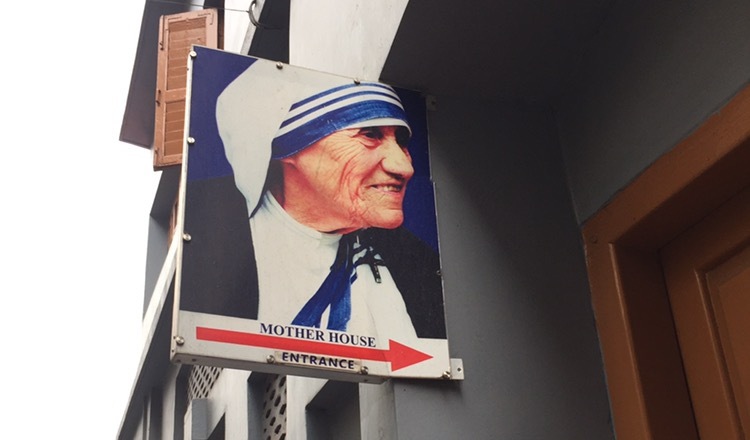 You may or may not be aware, that Mother Teresa is a controversial character, and it is an interesting topic, but not something I wish to delve into. I personally feel it is difficult to argue with spreading the message of love and helping people. 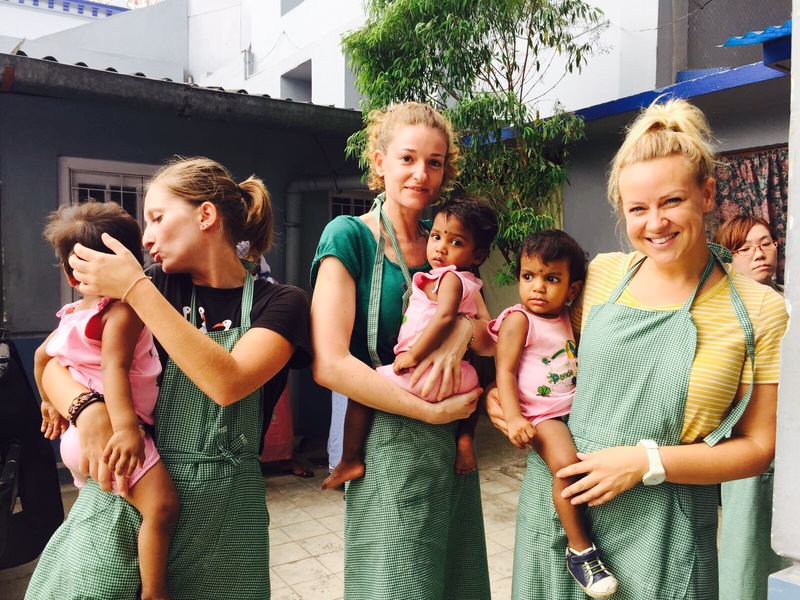 The beauty of volunteering at Mother House, is that you attend a registration on Monday, Wednesday and Friday at 3pm at Shishu Bavan and start work the very next day. You can choose to volunteer between 8 houses. I have been picking ‘child’ from my Angel cards, so this was an easy choice for me. The downside of the flexibility means there is no orienteering or help navigating your way around. You dive straight in and figure it out as you go.. The ladies who look after the children are not nuns and they are not particularly friendly. It is understandable, they most likely find volunteers annoying and the children know we are a soft touch. The kids wanted to sit on my lap and asked me to pick them up. The ladies shout sternly, ‘Aunty, NO!’ I sensed that they felt possessive and jealous that the children were showing volunteers affection. The women who work there are just as desperate for love as the children. Everyone is operating from fear that there just is not enough Love to go around and I understand. Pretty much the whole world operates from this place. A growing trend amoung weatlhy Indian families is to do service on their Birthdays. There were regular visitations and donations mainly in the form of artificial sweetners, crisps, carton drinks, cakes. I don’t think I saw a piece of fruit given to the children in the whole time I was there! As volunteers we were also given very sugary tea and biscuits each day! I decided sugar is medicinal for me in India for energy and dealing with the heat. Surprisingly, my goodbye was not filled with tears and emotion. The children were gorgeous and a lot of fun, but I felt exhausted and ready to leave. Total respect to all you Mums out there, looking after kids is hard work!! I was experiencing low energy, the onset of a cold and freaked out I had contracted small pox on my last day when I woke up with red spots all over me, but transpired it was heat rash! Mako and I looking tired! Their life in Shishu Bavan is vibrant, there is constant activity and connection. I loved observing their little personalities, pulling each others hair, snatching, pinching, the usual things kids do. Some of them are sweet and some of them are not. I discussed with other volunteers about wealthy children who are packed off to boarding school, or have absent parents they most likely feel as lonely and disillusioned with the world around them as these kids. 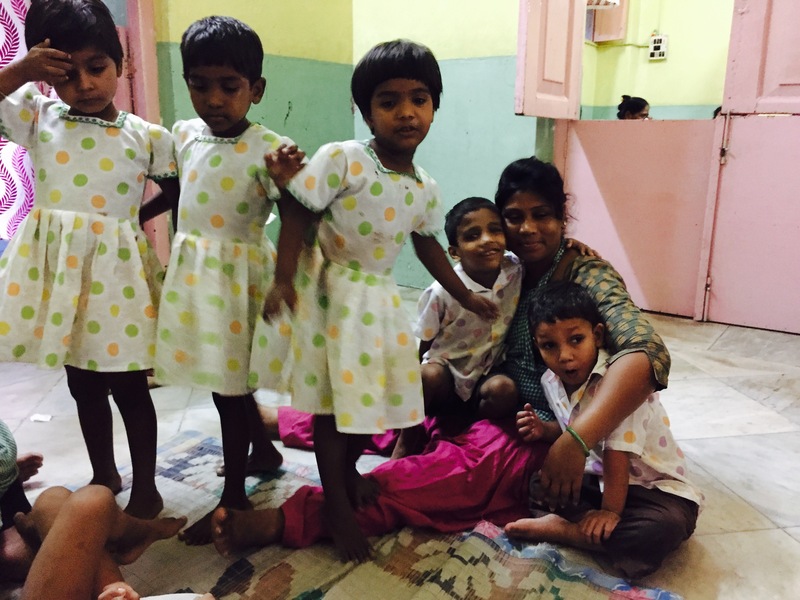 Our perception of an orphanage in India as a sad place, but it didn’t feel sad to me. 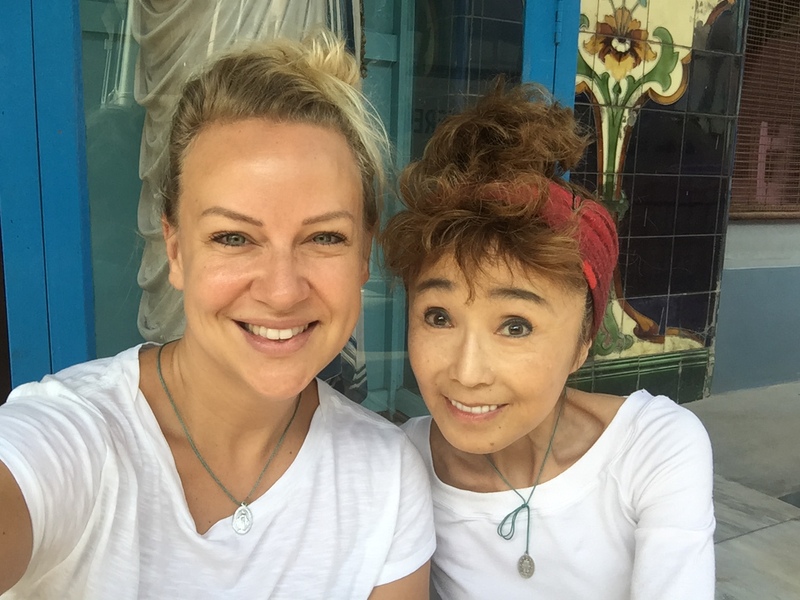 There was an immense amount of love and joy here and I feel grateful to have had this beautiful experience as part of my travels. “Life’s most persistant and urgent question is ‘what are you doing for others?” Martin Luther King Jr.